When you connect with colleagues on LinkedIn, they might send you a request for a recommendation. 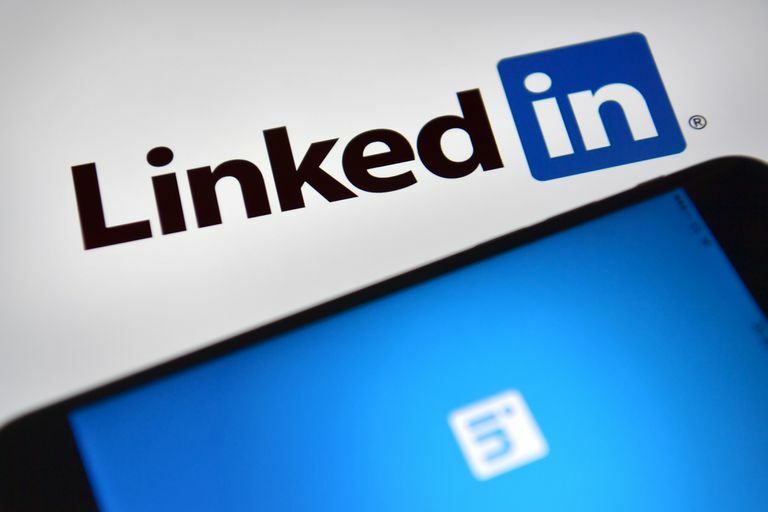 If you decide to answer a request by giving a recommendation, it will appear on their LinkedIn profile under their Recommendations section along with your name, profile picture and current professional position. A recommendation is like a testimonial for a person's professional work. It serves as proof that a person has sufficient knowledge, skills or experience in an area of a past or current profession. Once you've written your recommendation and have sent it back to the person who requested it from you, they'll receive a notification message so they can review it before deciding to accept it. When they accept it, it will be visible on their profile. Have a look through the following tips to learn how to write a LinkedIn recommendation that impresses not only the requester, but also future viewers of the requester's profile. Nobody wants to assume they wrote a great LinkedIn recommendation, only to have it sent back for suggested edits or stay in the pending acceptance state for what seems like an eternity. If someone chose you to provide a recommendation for them, chances are they already have some expectations about what they want you to say about them. To help increase your chances of having your recommendation be accepted the first time and avoid wasting more time rewriting it, consider sending the requester a simple message asking them what they'd like you to focus on mentioning about their work or contribution. This is especially helpful if you have a long professional relationship history or have worked on many different projects together. If you already have certain projects or experiences in mind for your recommendation, include them as brief suggestions in your message—perhaps in a numbered list or as bullet points if you can think of several. Ask them if they had to pick one, which would it be? This way, the requester chooses for you and can possibly give feedback on some of the details of those projects or experiences that they'd like you to touch on. I just received your recommendation request and would be happy to give you one. Before I do, I wanted to ask if you have anything in mind that you'd like me to mention specifically. Which one of these would you like me to focus on the most and why? Do you have any other suggestions? Even though published LinkedIn recommendations show a brief relationship statement beneath the recommender's name and photo, it's still important to include it in the actual recommendation text. Keep in mind that profile visitors always skim through each section, so you need to get straight to the point right from the start. If you want to include a brief, attention-grabbing sentence first, that's absolutely fine, but aim to start explaining your relationship in the second sentence at the very latest. "I recently purchased John's book after reading through the reviews on Amazon." "Erin coached me through the startup phase of my business, back when I was a total newbie and had no idea what to do." "Sam did a fantastic job at redesigning our company's website." "In my 12 years of working on the same sales team as Joe, I have never seen someone bring such a tremendous knack for efficiency to their work." Shorter is always better. No need to elaborate on every detail of your relationship. Focus on stating how you're connected (or what kind of work they performed for you) and leave it at that. Nothing demonstrates genuine expertise like a real life example. Instead of writing about how great the recommendation requester is, focus on telling the story of their performance in a certain situation. Anyone can describe another person as hard working, motivated, a great problem solver, and so on and so forth—but a story shows it. A well told story will help enhance people's belief in the requester's professional abilities. Tell the story of how hard the requester worked to tailor their services to your specific needs, or how motivated they were to go above and beyond the expectations for their position, or how they succeeded at solving an issue with how you're presenting your products on your website. After all, storytelling is how we learn about what's truly possible through other people's perspectives. Stick to telling one story — ideally using just one example of their work — only to avoid confusion and lengthiness. If the story involves multiple phases, events or experiences, focus on describing the one that led to the most growth. It's important to end your story with a brief statement about how their work positively affected your life, your team, your company or some other aspect of your professional work. This is where you want to state your results. Those results could be expressed as a number—such as a percentage increase in sales, or they could be expressed in terms of behavioral changes—such as a team's enhanced ability to communicate and coordinate. Results could even be expressed as your own expansion of knowledge or understanding in a particular area of interest thanks to the requester's work (perhaps as a coach, mentor, teacher, etc.). To really help drive the point across that the requester's work resulted in a positive outcome, try emphasizing something about them or what they did that made them stand out. This could be a particular skill, an idea, an attitude, a method of execution or anything else you think was unique. You've explained your relationship between you and the requester, provided an example of the their work and stated the impact they had. Now it's time to close with a powerful sentence that emphasizes why you'd recommend them. Using the previous sentences you wrote, try to pull something away from it that really sums up why you'd recommend their work. You can be as specific or as vague as you want. Specific is usually better, but if you can't think of anything specific, a vague statement is certainly better than nothing at all. "I highly recommend Laura to anyone looking to get real results in growing their small business." "If you want a trainer who really cares about your personal health goals, Greg is the guy you want to work with." "You can be sure you're in good hands when you decide to work with Craig." "Any company would be lucky to have Trevor on their team." Read through your entire recommendation at least 2 to 5 times and work on cutting it down as much as possible. Delete unnecessary words, phrases and even entire sentences if they don't add any value. The requester will appreciate a recommendation that is short, sweet and straightforward.